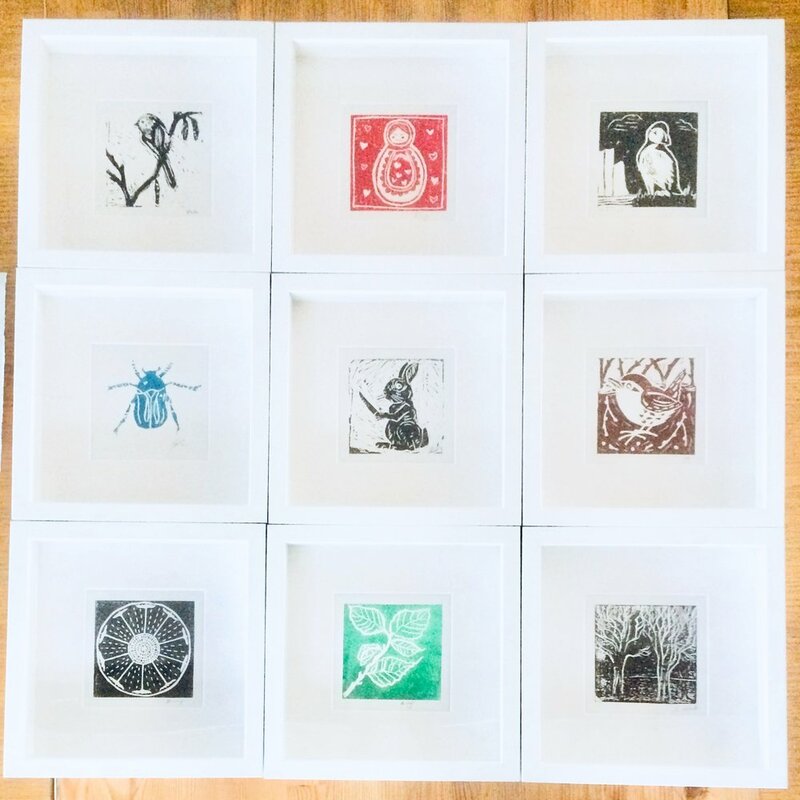 I run Lino print workshops for all ages and abilities mainly in Manchester and the north west. I'm also available to hire on an hourly basis by schools and colleges, art groups, museums and galleries, workplaces, and for parties and one-to-one sessions. Sessions can be specially tailored to your requirements and all equipment is provided. Previous groups have designed and printed their own cards, bookmarks and print editions. I'm also happy to do demonstrations at special events. Please check the Events page for upcoming workshops and do get in touch if you would like to find out more! Bear Print Design is Jo Wright, a printmaker based in Manchester UK. Jo’s work is influenced by animals, folklore, travel and the natural world.